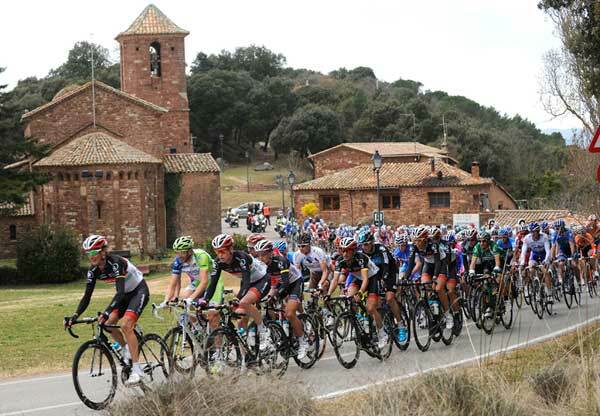 The 2012 edition of the Tour of Catalonia – or the Volta Ciclista a Catalunya, if you’re a local – runs from March 19-25 in eastern Spain. The seven-day WorldTour race offers an alternative to the spring classics in northern Europe. Since a date change from May to March in 2010, the race has attracted Grand Tour contenders warming up for the Giro d’Italia. Last year’s result was settled in the Court of Arbitration for Sport in Switzerland in February, when Alberto Contador was handed a back-dated suspension for failing a test for clenbuterol at the 2010 Tour de France. His win in the 2011 Tour of Catalonia was subsequently annulled and handed to runner-up, Italian Michele Scarponi. Bradley Wiggins (Sky) is Britain’s sole representative in the 2012 race, fresh from winning Paris-Nice earlier this month. The last and only Briton to win the Tour of Catalonia was Robert Millar in 1985. With no time trial in this year’s edition, the route plays firmly into the hands of the climbers. Wednesday’s stage three from La Vall d’en Bas to Port-Ainé is likely to dictate the top order of the race overall. The day’s four climbs, two of which are hors categorie, should force a selection among the front runners. On this page you’ll find links to all of Cycling Weekly’s online coverage of the 2012 Tour of Catalonia, updated daily during the race with the latest news, reports and photos. Pais Vasco, San Sebastian and Volta a Catalunya to disappear?